All you need to create a successful website is here! With Yclas you can have your site ready without worrying about technical or hosting issues, and you don't need any web development knowledge! The platform is designed to be user-friendly and cover all aspects you need when creating a classifieds site. We integrated the most used payment gateways to cover your customers wherever they are. Get money from your classified site by creating memberships, featured ads, featured plans, bring to the top and ad banners (Adsense). You can now accept Paypal, Stripe, Escrow.com, 2CO, MercadoPago and other eight payment gateways. Websites created using Yclas are responsive and look awesome on any mobile device. 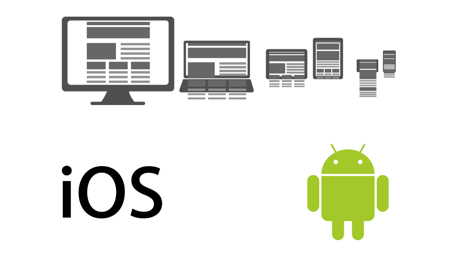 If you want to add value to your project, you must have our Native iOS and Android Apps. Each one created to reach your customer audience, no matter what device they are using. We have fourteen curated designs inspired by the top marketplaces. 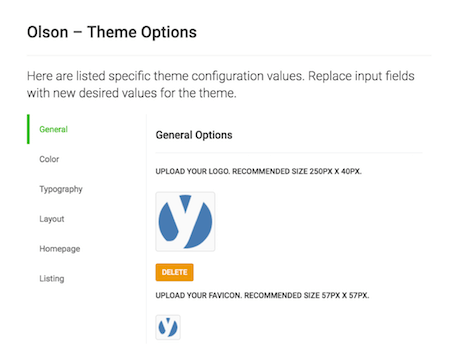 You can change skins, any text that shows up on your site, add different widgets to sidebars, header and footer, RTL friendly, add a slider on the homepage and by category, custom CSS, insert your logo and choose from different layout options. If you are looking for something more sophisticated, we can build a custom theme for your project. Full access to all the necessary functions to run a classifieds website. Create categories, define locations, enable chat, control spam, allow Google Maps, set an expiration date for ads, send confirmation emails, coupons system, export your data, force users before posting, enable social login, advanced search and add content to your site in an easy and accessible way. 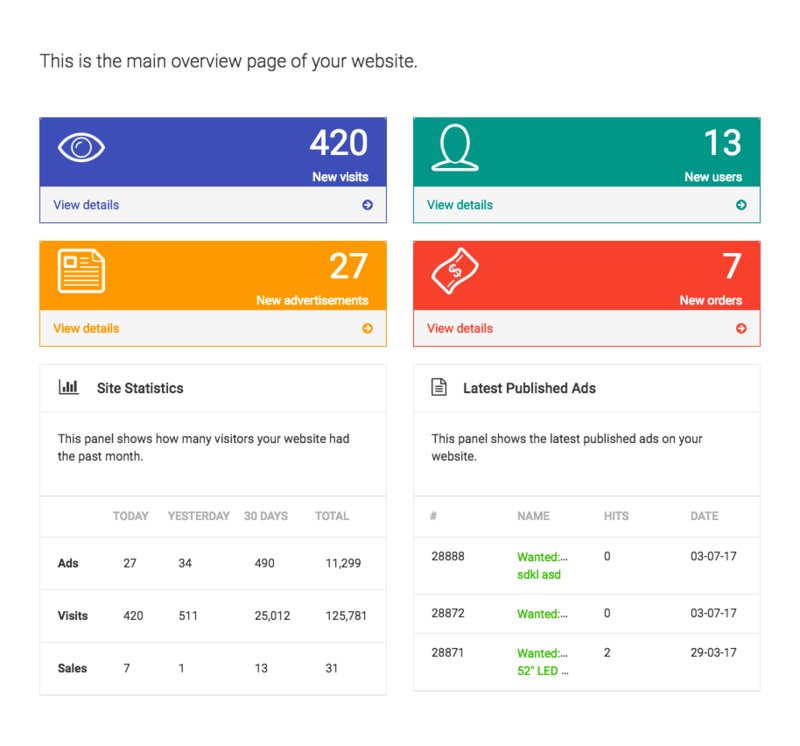 The admin panel allows you to manage how ads are published, moderate users profiles and roles, add recaptcha, Facebook and Disqus comments, site appearance, and widgets along with many more options to tweak. When creating a serious project, you need to have “must” tools to look professional. That is why we implemented content management features such as: Create pages, modify translations and create new ones, change email copies, send newsletters, create a blog, create FAQs, create Forums, manage media and much more. Everything to make sure you are running an excellent classifieds site. 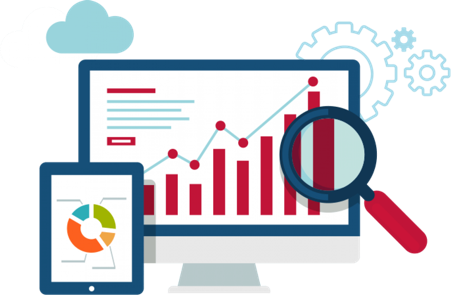 When creating a website using Yclas your site will be using the best practices of Search Engine Optimization automatically saving you time, effort and technical knowledge. Auto Meta descriptions and keywords, Auto-generated sitemap, friendly URLs, Robots.txt autogenerated RSS feed, smart 404 page, analytics integration and much more. Rank easily on Google without understanding what SEO is and beat your competitors at SERPs. A great marketplace needs a wide range of tools and resources to be successful. At Yclas we know that, so we would like to bring the most powerful integrations to help you achieve success. We also have open sourced our code, so you can host your website, take a look. We are not just a platform; we are a professional team dedicated to improving and offering the best experience to our users. A technical team is available 24/7 for support, managing backups, doing server optimization and fixing issues.